Today is Marine Day here in Japan, so I didn’t have to go to work. Hooray for National Holidays! What better way to celebrate than to do my nails? 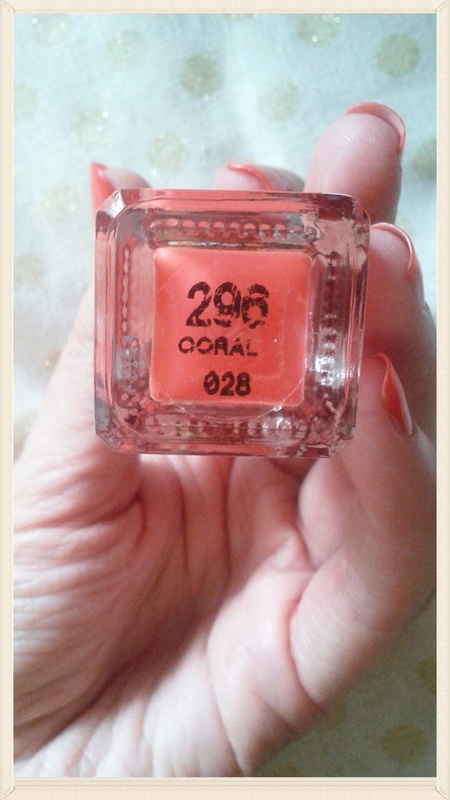 I wouldn’t blame you for expecting my nails to be blue or green, or some sort of ocean-y colour, however, as I sadly don’t own any nail varnish in these colours, I went for the next best thing, a bright coral shade. 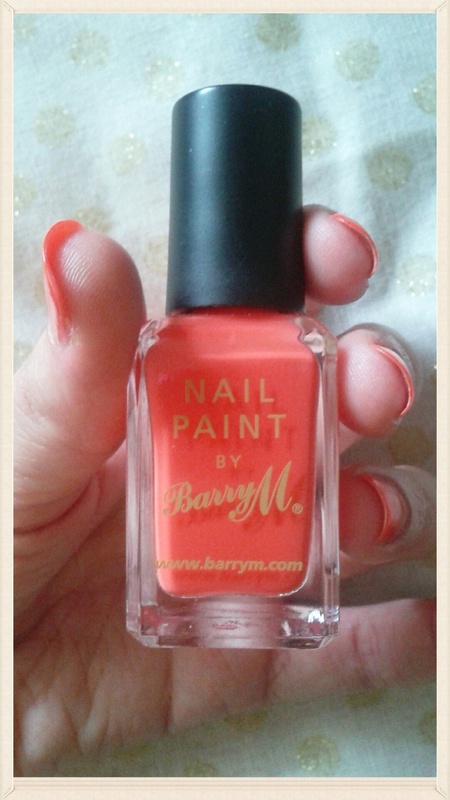 It is summer and as hot as an oven outside, so I thought I’d turn up the heat on my nails too. 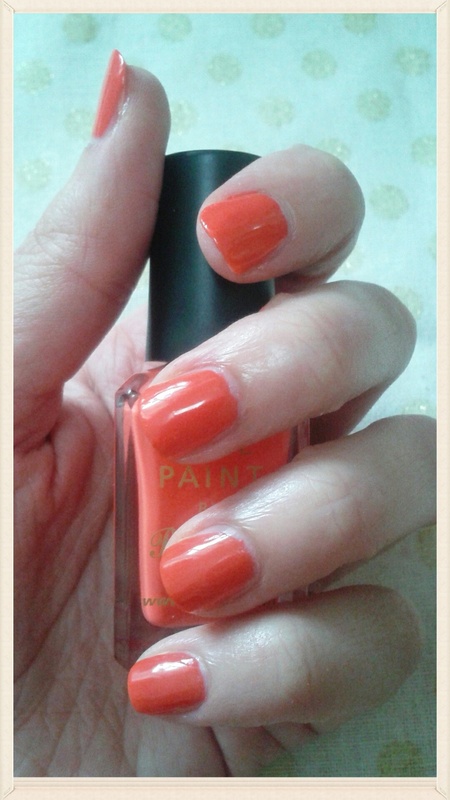 I was too lazy to use a topcoat, and the colour is a lot more bright and striking in person. It is also redder and darker than in the photos. 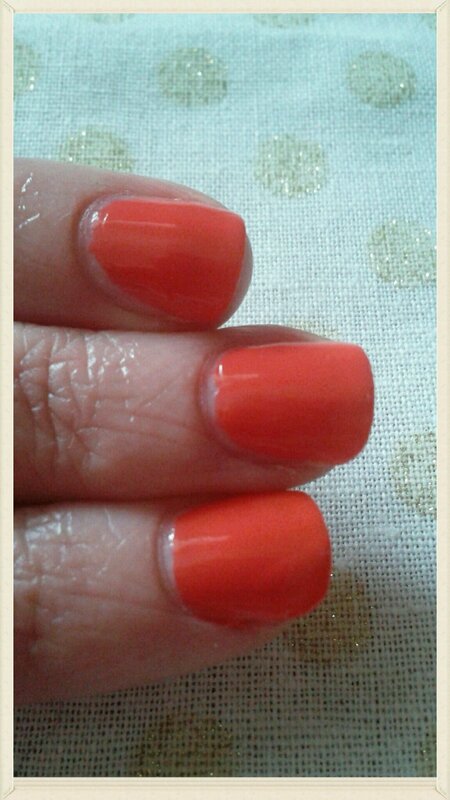 On the whole I like it and think it’s a very nice colour.